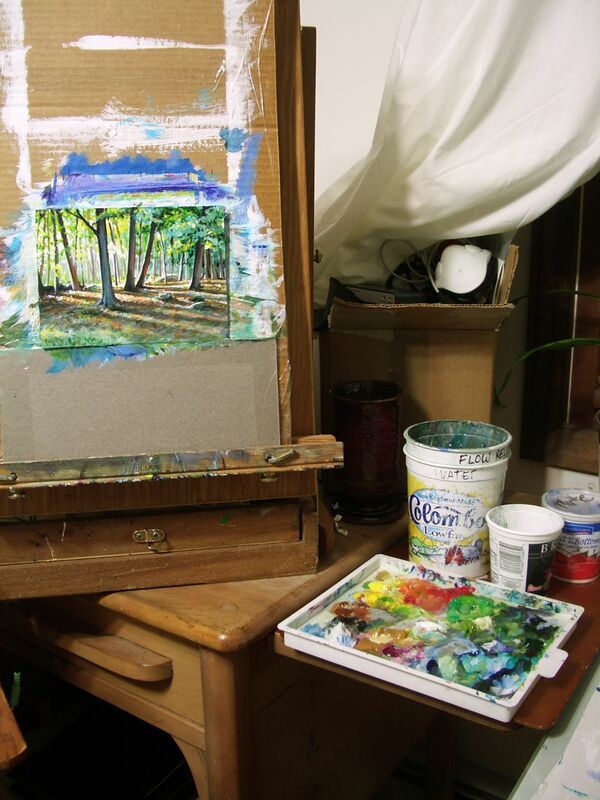 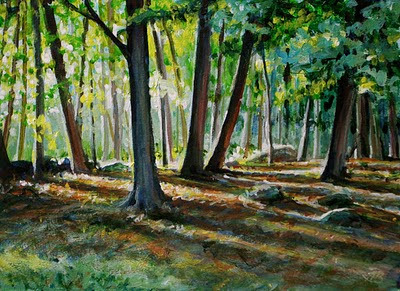 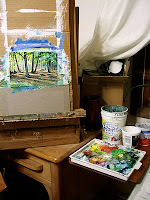 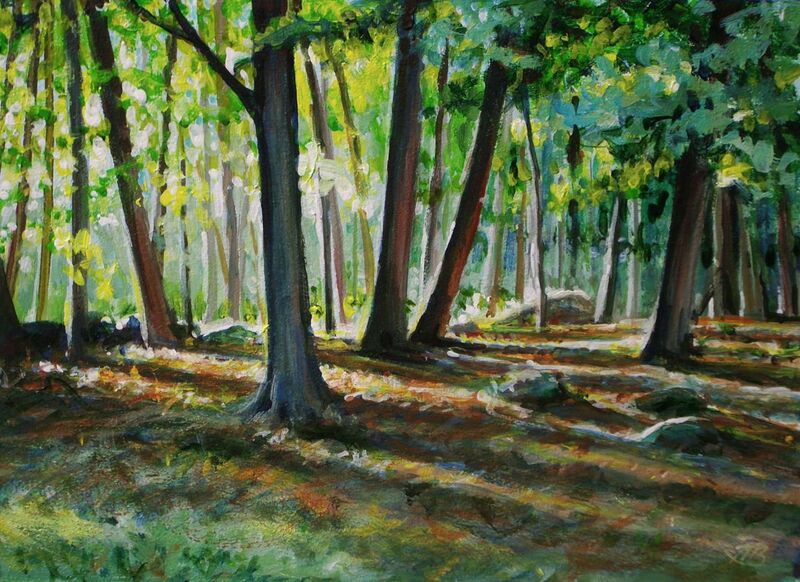 Light from the setting sun streaming through the woods, backlighting the trees and streaking across the fallen leaves of the forest floor, in New Fairfield, Connnecticut.
. . . and to see more of this artist's paintings on Etsy, click here.